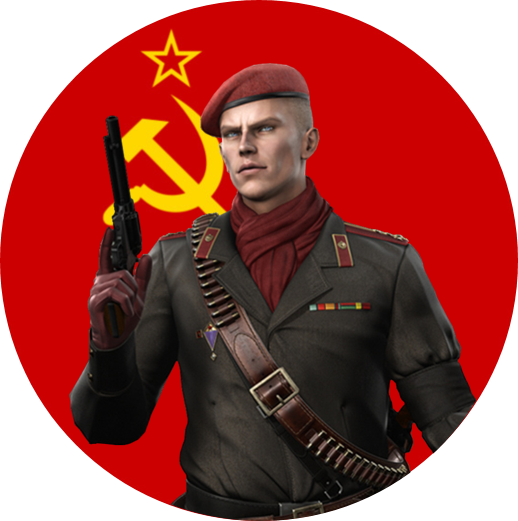 Snake and Le Visiteur (The Visitor) are Cold War 2 power players, occupying the top of the hall of fame since the begining of the game. They wanted to mix two games they really like: Cold War 2 et Metral Gear Solid. According to Le Visiteur: "The idea emerged from a very simple fact: we have at hand one of the greatest licence in video gaming, with very ambitious scenarios, fitting exactly the time period of our favourite browser-based game. So... why not giving a try!" ..."Armed with our sole courage, we dug into the abysmal lore of MGS to try and find something that would bring a new flavour to Cold War 2. And what we found will be more than enough to satisfy us (and you too, if possible!)." The Metal Gear Solid - Legend mod intends to be a retranscription of the story told by the games forming the saga within the Cold War 2 game mechanics. One must recognise they fit rather well! Are you willing to re-experience the myth from the USA's point of view? Easy, everything will be there. The idea is to give you, on top of the normal Cold War 2 game, events inspired from the Metal Gear Solid saga and specific game mechanics in a unique ambiance. You will likely not play this mod to enter the hall of fame and sit at the top of it. You will definitely play it to relive your earlier days on these unfortgetable games, to discover a gangantuan universe or just to see how much you can mess with the timeline. This mod is there, and it is for you! Game rules are the same as in Cold War 2. (in French only too for now). Trying to play Cold War 2 in "tutorial" mode may also be a good idea if you are not familiar with the game itself. MGS is a legendary spy and action game by Konami. If you don't know it yet : try it ! Born in Setagaya, one of Tokyo's districts, on 24 August 1963, Hideo Kojima is the creator of the Metal Gear saga. During his teenage years, Kojima dedicates a significant part of his time to writing complex scenarios and stories - dreaming of being able one day to start a career in the film industry. He however gives up on this idea when he gets the famous Famicom of Nintendo (the NES in the West), deeming that video games are a better entertainment medium thanks to their interactivy and possibilities offered. Despite a strong opposition from close relations and his teachers, Kojima perseveres and is eventually hired by Konami in 1986 in the MSX development branch. The year after, he launches the first game of one of the most prestigious video game licence - Metal Gear, which already meets success (over a million copies sold !). Afterward, Hideo Kojima supervises the production of other games for Konami, including the next games of the Metal Gear saga. He even becomes, in 2011, Vice-Predisent of Konami Entertainment! Kojima is today at the head of his own video game company, Kojima Productions, and is currently working on a new title - Death Stranding. Konami Holdings Corporation is a major Japanese entertainment and gaming conglomerate, working as a product distributor, a video game developer and publisher company created in 1969 and headquartered in Tokyo. Originally launched in the market of jukeboxes repair and rent in Osaka, Konami starts manufacturing arcade cabinets in 1973 - contributing to the spread of microprocessors. On 19 March 1973, the Konami Industry Co., Ltd company is established - taking its name « Konami » from a contraction of its four co-founders' names: Kagemasa Kozuki, Yoshinobu Nakama, Hiro Matsuda, et Shokichi Ishihara. Konami begins to develop video games in 1978 which are exported to the USA as soon as of 1979, allowing the company to contemplate international deployment. The success of personal computers benefits to Konami with its own MSX machine. However, the birth of Nintendo's Famicom (NES) really kicks Konami among the greatest video games publishers with key titles like Castlevania (1986) and Metal Gear (1987). The company remains loyal to Ninento throughout the years and keeps developing games on the Super NES. However, over time, Konami tends to rely on its past to the detriment of creativity: overexploited licences, irrelevant sequels. Konami's tough management and lack of consideration displease a number of employees who leave the company to found their own. Starting in 1995, Konami progressively turns away from Nintendo to become closer to Sony (and its Playstation): memorable games keep being published - Winning Eleven, Suikoden, Metal Gear Solid, Silent Hill, etc. The 2000's are the most prosperous years for the company that keeps expanding until nowadays. 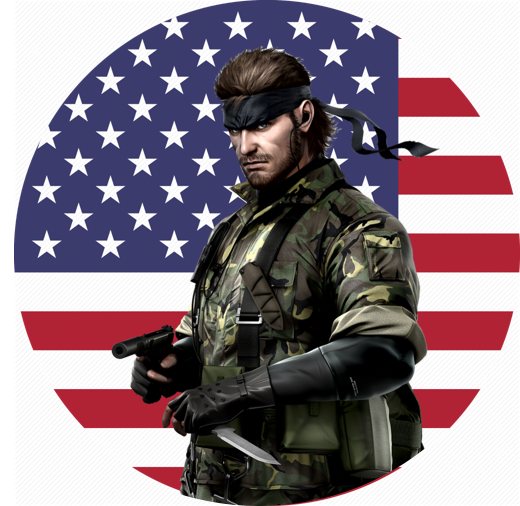 Metal Gear, Metal Gear Solid, Metal Gear Acid and all Metal Gear terms are copyright of the Konami Corporation. Metal Gear Acid 2 is copyright of Kojima Productions.